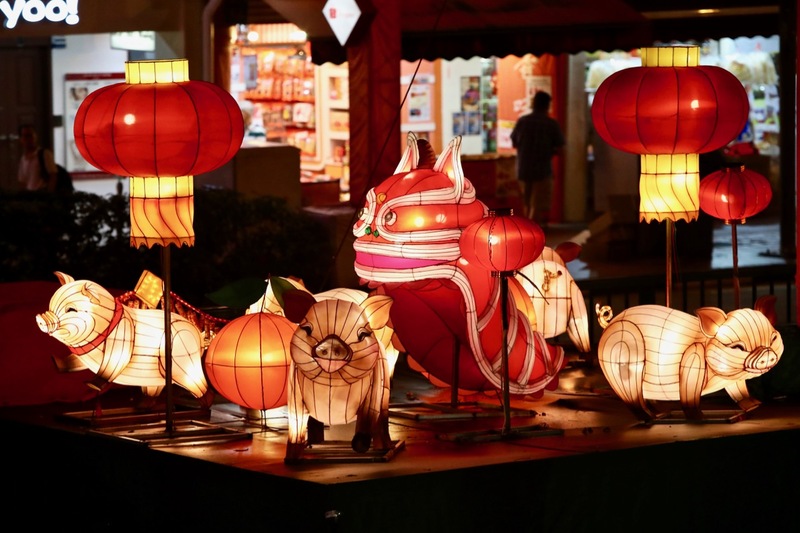 The Chinese Lunar New Year festive season at the start of every new year is arriving soon, in a few weeks time, we would be welcoming Chinese New Year on 5th February 2019, the first day of Chinese New Year 2019. In Singapore, things are in place at Chinatown, preparing to welcome the Year of the Pig with lots of events, festivities, activities and celebrations. 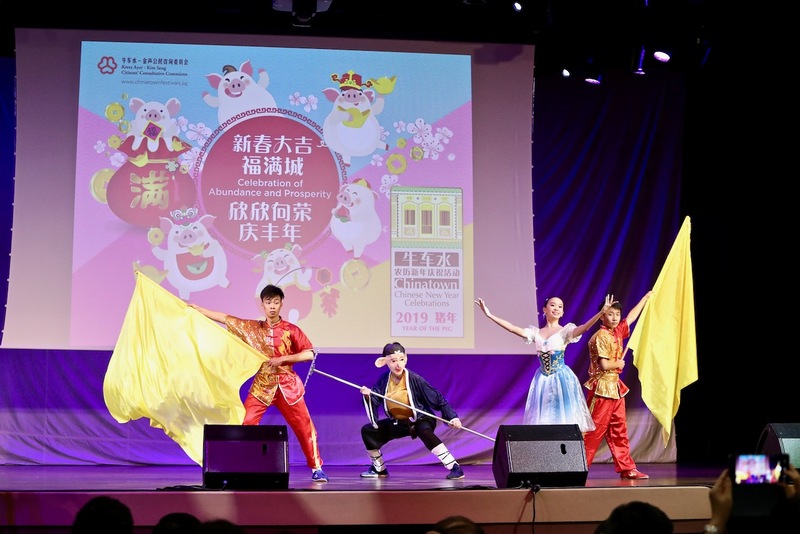 The Chinatown Chinese New Year Celebrations 2019 is organised by the Kreta Ayer-Kim Seng Citizens’ Consultative Committee (KA-KS CCC) and supported by the Singapore Tourism Board. On 20th January 2019, it would be the official light up and opening ceremony for Chinatown Chinese New Year Celebrations 2019 in Singapore. 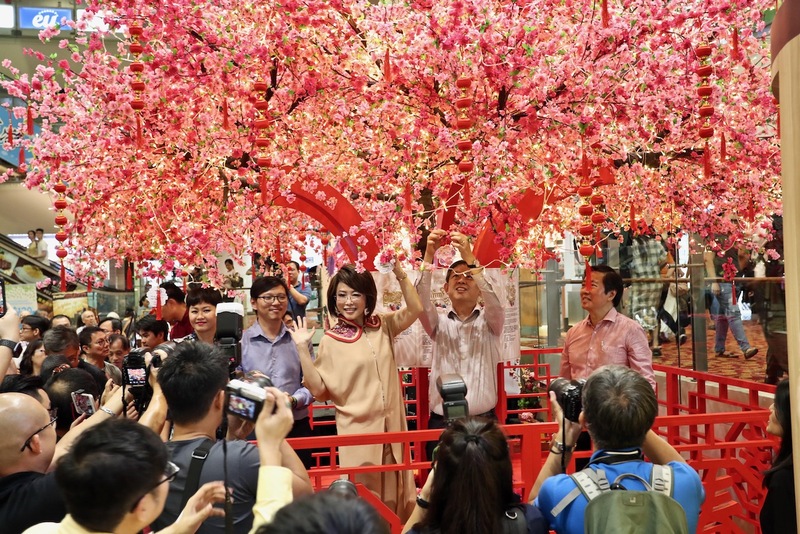 The theme for this year’s Chinatown is “Celebration of Abundance and Prosperity” and there are many events and activities for the extended families to come together and celebrate this Chinese New Year festive season together. This is the Year of the Pig, they are a symbol of wealth and good luck, normally associated with abundance. 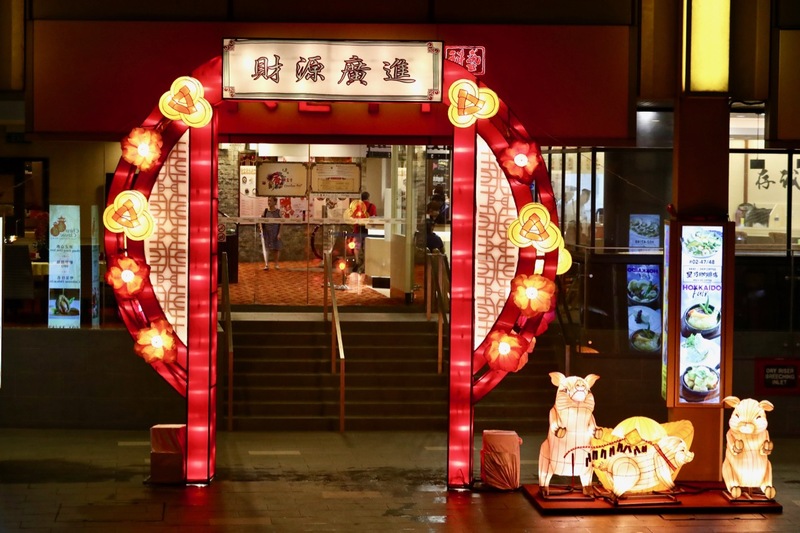 Three key themes for the Year of the Pig festive celebrations at Chinatown are “Wealth, Celebration and Knowledge”, they would be showcased through various elements through the props and displays. The traditional festive street bazaar held at Chinatown is an iconic feature, many people visit the street bazaar for Chinese New Year goodies purchases and international tourists visiting the festive street bazaar, getting a feel of the Chinese New Year atmosphere and ambience. One of the key highlights that I like about Chinatown Chinese New Year Celebrations is the Chinatown Street Light Up. 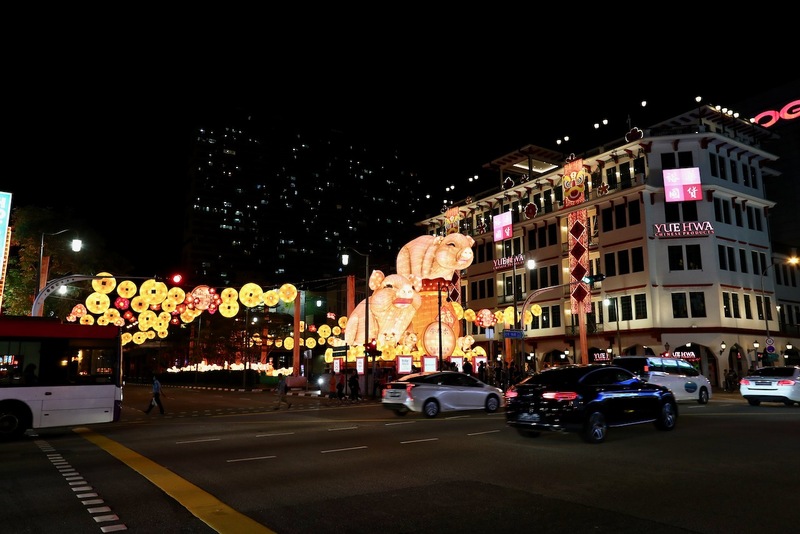 Since this is the Year of the Pig, this year’s street light up is pig-themed handcrafted lanterns, designed in collaboration with students from the Singapore University of Technology and Design (SUTD) for the eighth year. 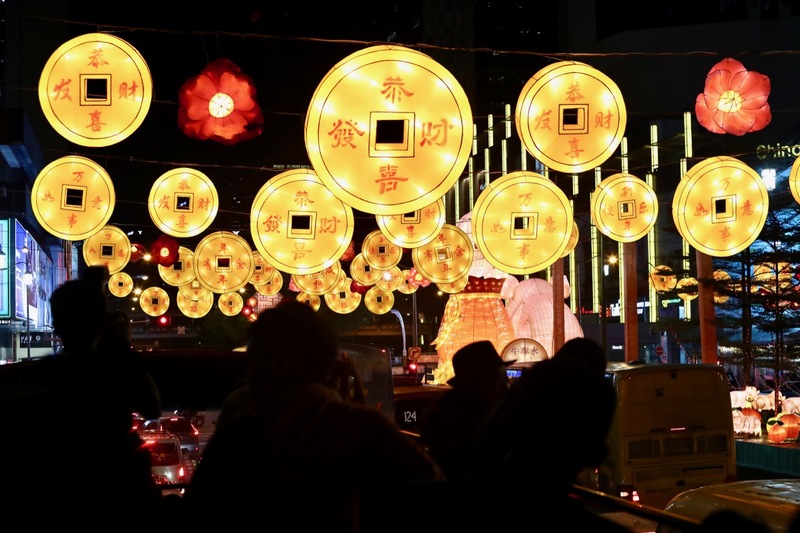 There are a total of 2,688 lanterns, bright, colourful, pig lanterns, gold coin lanterns, flower lanterns, red lanterns, yellow lanterns, decorating and lighting up Chinatown during this Chinatown Chinese New Year 2019 festive season. Do keep a lookout for the main Chinese New Year lantern centrepiece at the junction of Eu Tong Sen Street and Upper Cross Street. They are a family of 8 pig lanterns! This centrepiece pig lanterns display has received interesting reviews and comments from both sides! Therefore, you cannot miss them and please visit this lantern centrepiece at the junction of Eu Tong Sen Street and Upper Cross Street. Personally, I kind of find this centrepiece pig lanterns to be pretty cute looking pigs! 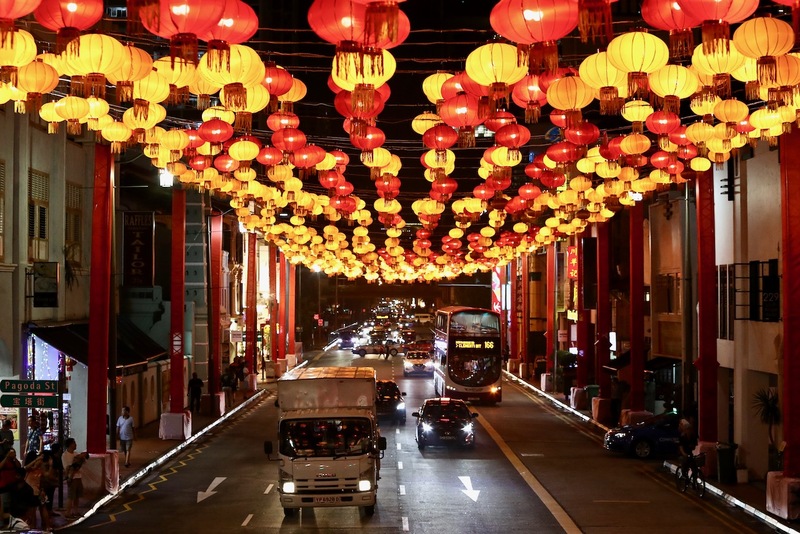 There are many other events, activities and festivities during this period leading up to Chinese New Year 2019 held at Chinatown in Singapore. I have listed them down below for your reference without going into lengthy details of the events. They are ideal for families to participate, bond and have fun together during this Chinese New Year festive season! More information can be found on Chinatown Festivals website! I would like to wish everyone of you a Happy Chinese Lunar New 2019! Have a good time with your family, relatives and friends during this festive season, feasting, bonding and having quality time together! Do keep a lookout for my Chinatown Chinese New Year Celebrations 2019 photographs in this Flickr photo album!